Singapore - December 3, 2018 — Proof of Stake (PoS) is an efficient and better alternative than Proof of Work (PoW). In PoW, although miners are rewarded for their work done, the system has been showing consistent vulnerabilities. Especially its inability to curb market monopoly and centralized mining. This makes the HyperBlocks platform relevant and an ideal strategy for the overall growth of the industry. Tezos delegation services are the first services offered by HyperBlocks. The technology created by HyperBlocks was reported to be safer, easier and inexpensive to use for staking as no infrastructure is needed to set-up for regular users or crypto funds. The platform will also allow Cosmos tokens (atoms) and many more tokens to be staked with HyperBlocks. The team is working towards their goal to launch one of the first and largest in the world Wax.io guilds/nodes (Wax is 2nd most used blockchain in the world, reported by blocktivity.info) and it’s expected to launch their staking services by early next year, reports BloqWire crypto news network. 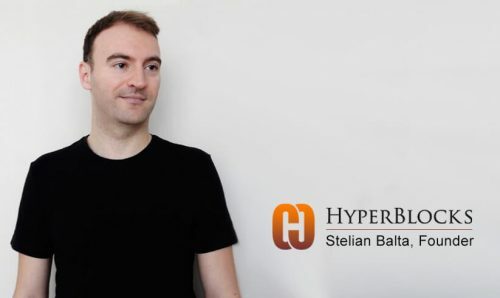 HyperChain is well reputed in the industry for its innovative and continuous efforts to support blockchain projects and investors alike during a bearish cryptocurrency market.